She writes paranormal romances for Nocturne as Anna Leonard. Laura Anne is also an amateur chef, oenophile, and cat-servant. She lives in New York City. 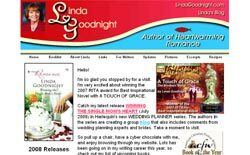 Winner of the RITA Award for excellence in inspirational fiction, Linda Goodnight has also won the Booksellers' Best, ACFW Book of the Year, and a Reviewers' Choice Award from Romantic Times Magazine. Linda has appeared on the Christian bestseller list and her many romance novels have been translated into more than a dozen languages. Active in orphan ministry, this former nurse and teacher enjoys writing fiction that carries a message of hope and light in a sometimes dark world. She and husband Gene live in Oklahoma. Anne Gracie first wrote for Harlequin/Harlequin Mills & Boon but has found a new publisher, Berkley for her more recent novels. All of her novels have been historicals except for How the Sheriff Was Won, which is a contemporary romantic comedy. 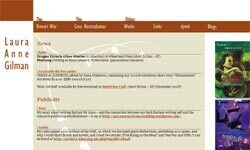 In 2007 she was president of the Romance Writers of Australia. Have A Favorite Romance Author G? Do you have a favorite Romance Author whose last name begins with "G"? Share it! "G" Romance Authors" Tell us about yourself and your latest Romance Novels!